Using an Under Armour mouth guard is the first step toward protecting your teeth from injury due to unexpected impact. It’s important to care for and clean your mouth guard to ensure that it continues to effectively offer the protection you need. Follow the tips below to keep your mouth guard from becoming infected and to make it last as long as possible. Be sure to rinse your mouth guard with water or mouth wash after each use. Don’t use hot water to rinse your mouth guard, because the plastic may become malleable and the shape may be altered. Clean your mouth guard with a toothbrush and toothpaste or soapy water regularly. Always allow the mouth guard to completely air dry before storage. Store your athletic mouth guard in a cool, dry container. Make sure that the container is ventilated so that air flow isn’t impeded, or bacteria may accumulate on the mouth guard. You should wear your mouth guard during practice as well as while competing because you never know when impact may occur. Don’t share your mouth guard with teammates or siblings. 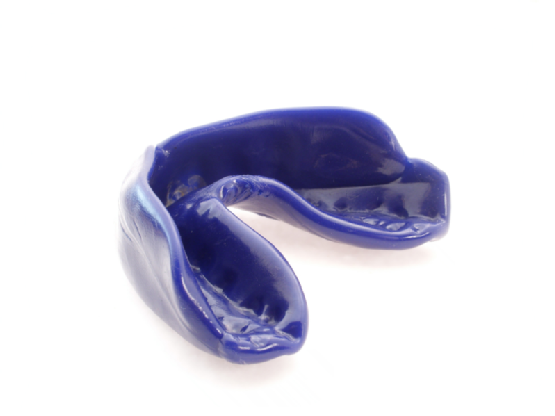 Due to the amount of force they absorb, an athletic mouth guard will need to be replaced every two to three years. If your mouth guard receives a particularly forceful hit, check for cracks or tears. Check your mouth guard regularly for signs of wear and tear, and bring your mouth guard to each dental visit so that your dentist can evaluate it. Even if you play a non-contact sport, an Under Armour mouth guard is recommended to help protect your teeth. Under Armour mouth guards are used by many professional and collegiate athletes. The top dentists at Park 56 Dental offer fitting for Under Armour mouth guards and many more dental services to patients in NYC. Call (212) 826-2322 for an appointment or more information today. Whitening your teeth is a safe and effective way to improve your smile and boost your self-esteem. While there are many teeth whitening products available, you should speak to your dentist to find out which product will be the best option for your smile. Having your teeth whitened in the dentist’s office is the quickest way to get the results you want. At Park 56 Dental, we offer Zoom teeth whitening . Read below to find out about Zoom teeth whitening. Before your teeth are whitened, your dentist will do a quick exam to make sure that your teeth and gums are healthy. 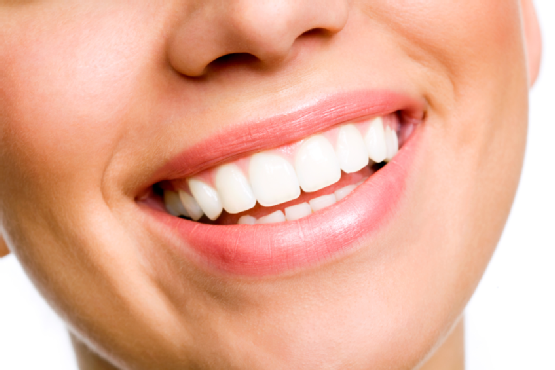 Teeth whitening is best for patients with healthy teeth . After the exam, the dentist will cover the surrounding areas of your mouth with material that will protect them during the whitening process. After your dentist applies Zoom whitening gel to the teeth, a special light is shone onto the gel. This light will activate the gel, and work to break up the stains on your teeth. A Zoom teeth whitening visit usually consists of three 15-minute applications. This means that you can have whiter teeth in under an hour! With Zoom teeth whitening, your teeth can be up to eight shades brighter after only one session. If you want to have whiter teeth but don’t want to spend weeks applying a product at home, Zoom teeth whitening is the perfect solution. In-office Zoom teeth whitening only requires one quick visit to the office, and can lighten your teeth more effectively than over-the-counter products. Call the top NYC dentists at Park 56 Dental for your Zoom teeth whitening appointment today. We have been providing a range of comprehensive dental services, including teeth whitening, to New York residents for over 20 years. Call (212) 826-2322 for an appointment or for more information. Traditional metal braces are a common requirement for many teens; however, they can also be a source of embarrassment. Invisalign Teen offers a new way to improve your smile invisibly and eliminate stress about your looks during your dental treatment. No one will know you’re wearing Invisalign unless you tell them, and the aligners can be removed to eat, drink, and brush your teeth. This means you have no dietary restrictions, fewer visits to the dentist, and a smile you’ll be proud to show off every day. Your Invisalign trays are comfortable and durable, so you’ll never need to worry about discomfort distracting you from your favorite activities. You can participate in sports, play instruments, and invest your time in the things that really matter to you while receiving treatment for a straighter, healthier smile. Park 56 Dental is proud to offer Invisalign Teen to our patients in NYC. If you’re interested in Invisalign treatment, call us today at (212) 826-2322 to find out how you could receive $500 off your treatment . You can learn more about our top dentists and the quality services we provide by clicking through the information on our website. A bright, confident smile can take years off your appearance while conveying health and vitality. Cosmetic dentistry offers an easy way to turn back the clock and rejuvenate the look of your face without expensive or complicated surgical procedures. Consider the benefits of removing years of wear and discoloration from your smile in a single afternoon! For one, when your teeth look better, you will likely be more inclined to care for them properly to maintain their health and beauty. At Park 56 Dental in NYC, our top cosmetic dentists proudly offer a variety of treatments, from tooth whitening to dental implants, to improve your smile. Look over this infographic to find more information about how cosmetic dentistry can help you smile brightly and look younger. We believe that cosmetic dentistry is one beauty secret you’ll love to share, so feel free to pass this infographic along to your friends and family! Many patients feel anxious or uncomfortable when facing dental visits or dental work. 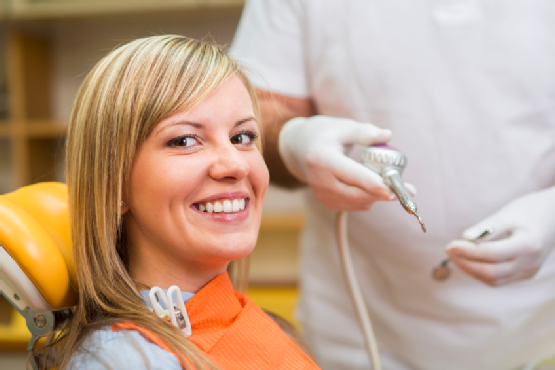 Dental sedation is a safe and effective method for you to receive dental work. You will feel relaxed and have no memory of the procedure afterward. Park 56 Dental is proud to offer a variety of dental sedation options to our patients to ensure a comfortable and positive dental visit every time. Mild dental sedation is administered in the form of a pill or nitrous oxide . If you choose to receive mild sedation, you will remain awake and aware throughout your procedure. You will be able to breathe on your own and respond to commands or questions from your dentist. However, you will feel a sense of relaxation and comfort rather than worry or fear. Depending on what type of sedation you receive, you will recover fully from any medication within minutes to hours following your treatment. Moderate dental sedation is delivered via an intravenous (IV) line during longer or more complicated dental procedures or for patients with slightly elevated dental anxiety. This form of sedation instills a greater sense of relaxation during treatment, although you will remain awake the entire time. This level of sedation may also be called conscious sedation. As moderate sedation may take several hours to wear off, a friend or family member must drive you home from your appointment. The deepest form of dental sedation causes you to drift between consciousness and unconsciousness during treatment. You are not able to respond to commands and will not remember anything about your dental treatment. As with moderate sedation, medication is often administered intravenously and the effects take several hours to completely disappear. You will need a responsible adult to accompany you and drive you home. Discover how comfortable and easy your next dental appointment can be with the help of dental sedation. Contact Park 56 Dental at (212) 826-2322 for the answers to your questions or to schedule your visit. Our top NY dentists are dedicated to your dental health, providing general, cosmetic, and emergency dental care for the entire family.